Happy International Bacon Day! I woke up this morning to discover with delight that it was the first day of spring and also a little day called International Bacon Day… as an enthusiastic carnivore, I must say that this is one of my favourite days of the year 😉 While International Bacon Day is an American & Canadian holiday which is on the day before Labor Day, I thought there was no reason whatsoever that I couldn’t celebrate it too! What to make? With short notice and a distinct restraint on my time at the moment due to mid-semester examinations, I defrosted a packet of bacon from the freezer and pondered this question. Eventually I went for a dish where bacon is a most famous accompaniment: French Toast! Now to be honest here, I’ve never made French Toast before. I’ve only ever had it on one occasion, and that was as part of a hotel breakfast buffet. From what I remember, I was significantly impressed by those little yellow triangles of heavily battered, non-golden brown, eggy white bread. I’ve also steered away from ordering it at cafes as the description of bacon accompanying it was a turn off. I’m a firm believer in savoury things being salty, and sweet things being sweet, and not combining the two. Time to challenge my tastebuds! 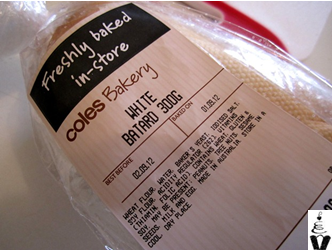 I went down to the local supermarket and bought a few things, including a lovely soft loaf of white batard. Had I had more time, I might have hunted down some brioche or something similar, but this was an impromptu brunch. Maple syrup and bacon to serve. 1. In a small bowl, whisk together your milk, egg, cinnamon and vanilla. 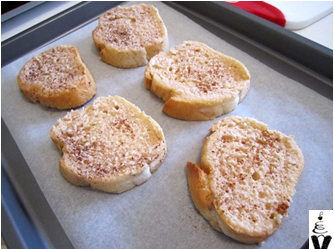 Dip in the slices of bread, one at a time, thoroughly coating them in the egg mixture. Allow them to drain before placing them on a baking tray lined with paper. 2. Heat a frying pan over a medium heat and melt half of the butter. 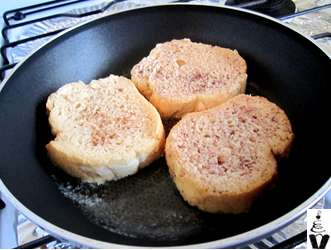 Fry the slices of bread until golden on both sides. 3. Place on a plate and cover with foil before frying your bacon strips. 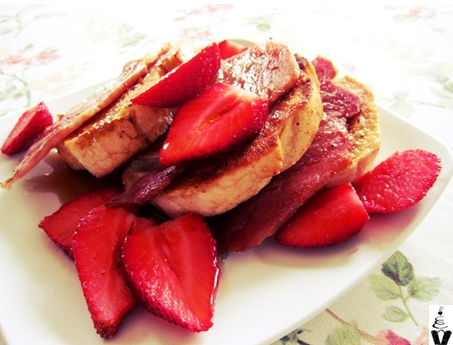 Serve hot slices of the toast with the bacon, fresh strawberries and a generous drizzle of maple syrup. Okay… I take back everything I said about savoury and sweet not going together! 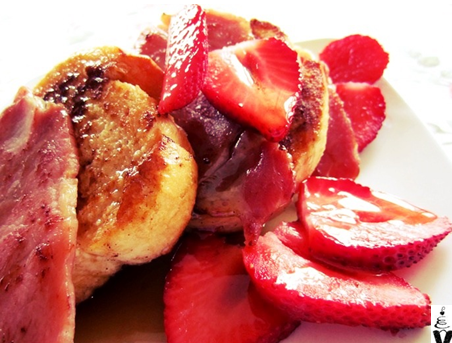 The cinnamon on the toast just marries beautifully with the maple syrup and the bacon…. hang on, can you have a three-way marriage? Oh, who cares – it was delicious, to put it simply! I did not know about International bacon day…my husband will be so pleased! Your French toast looks fantastic! Wow, I’ve never put bacon with my french toast, but it sounds even better that way!! Your meal looks very delicious!